Put all purpose flour in a glass bowl. Add salt and vegetable shortening. Knead by hand until the mixture has a gritty texture. Add water a little at a time, and knead dough until it forms an elastic and shiny ball. If it is too greasy, add a little more flour and water. Set dough aside, covered with a cloth, for 30 minutes. Pinch off a small ball of dough, and place between 2 sheets of waxed paper. With a rolling pin, roll the ball into a circle about 3 inches in diameter. 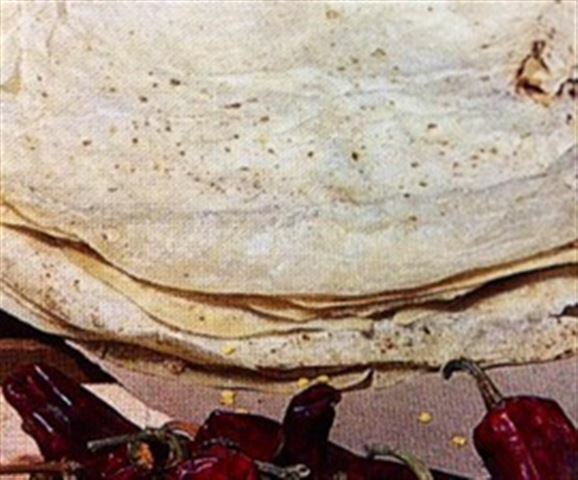 The flour tortilla should be very thin. Pull edges with your fingertips, stretching the tortilla a little. Cook tortilla on a hot thick griddle. Cook on each side for about 2 minutes or until light brown. The flour tortilla should puff slightly. Repeat, using all the dough and making 20 tortillas. To serve, place flour tortillas in a basket. Serve with cheese and salsa or make a quesadilla.